Fairfax Contractor serves Reston Virginia as a class A home-improvement and commercial contractor. We specialize as a company that can perform a wide variety of both residential and commercial general contracting projects. We are a design build contractor that is served Reston for over 30 years. In fact I lived in Reston for over 19 years and have completed hundreds of jobs in this unique community. Reston has certainly come a long way since the days of Robert E Simpson the original brainchild of this planed community.Fairfax Contractor possesses a class A contractor’s license to perform many types of remodeling projects in Reston, Virginia. if you are looking for a great home improvement contractor in Reston, perhaps Fairfax Contractor can help you turn your dreams into reality. We specialize in home-improvement contracting projects such as bathroom remodeling, concrete driveway replacement, foundation repairs and custom brick and stone work. In addition, we also can design drainage systems that can be built for the interior or exterior of your home to solve almost any drainage problem you may have. Fairfax Contractor is your go to company if you’re looking to replace your roof, siding, exterior doors, or windows. We specialize in most forms of masonry construction including foundation repair, tuck pointing, and small brick and stone repair. Fairfax Contractor also performs small handyman projects such as carpentry work, As your go to design build contractor we can also custom build exterior projects such as portico, decks, egress window and screen rooms. Most homes in Reston Virginia were built in the 80s to the mid-1990s. Oftentimes the builders did not take into consideration what makes a home a home. Fairfax Contractor also can remove load bearing and petition walls in your home create free and open living space. Fairfax Contractor can replace your gutters in, Reston, Virginia. RHOA mmay have guidelines in certain communities to replace your gutters. 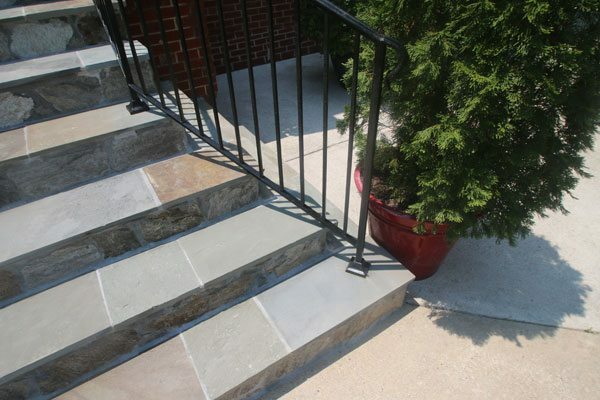 Fairfax Contractor can design and install just about any type of walkway or patio project you may desire. We install most of our masonry work on a concrete foundation. Patios can be built with Pennsylvania flagstone, brick, or travertine. We also install walkways built of finished concrete, square cut flagstone, irregular flagstone, brick, and travertine pavers. In addition, we are also able to install a wide variety of concrete pavers, set in an aggregate base. For more information please call us today for a free estimate, or fill out the estimate request form. Our Reston, patio and walkway installations can improve the appearance of your home. We had a time-tested methodology of installing both colonial style clay brick, and always popular flagstone for your exterior hard scape project. 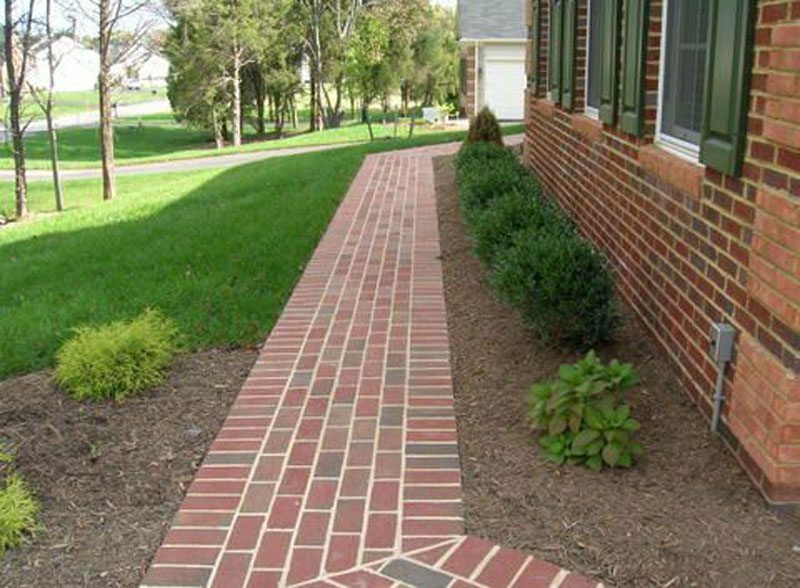 We have been working in Reston for years, and have the ability to take your drainage to reality as a licensed and insured masonry contractor.for more information about building a patio, are walkway in Reston, please click on the following link to give you more information about replacing your walkway or installing a new patio. Fairfax contractor works with Reston homeowners to repair or replace existing wrought iron railing systems. We are capable of custom design and install in both code compliant interior and exterior railing projects. For more information about how we can help , Reston homeowners. Please click on the link to get more viable information on what we can fabricate with wrought iron in Reston VA. In addition to wrought iron railings, we can also custom fabricate wrought iron entry gates and ornamental wrought iron fences. Here are some of the neighborhoods that we install our home improvement projects in Reston Virginia, these communities include Fairway, Fox Mill Woods, Hunters Green, Lake Anne, Lakeport, North Reston, Fairway, New Port, North Shore , Northgate, Reston Town Center, South Reston, Stratton Woods , and many other clusters and neighborhoods in Reston. For more information on all of the home improvement projects we can help Reston residence with check out our main page. If you live in Reston Virginia, and want to remodel the exterior of your home you probably will need approval from the Reston Association. 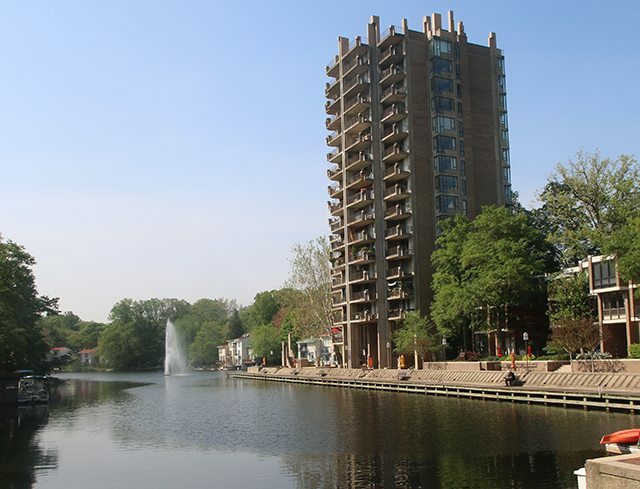 The Reston Association sometimes known as ROA has a design guideline that you must followed. Reston’s homeowners Association has strict guidelines on any exterior improvement to your home, which may include many home improvement projects. ROA Home Homeowners Association DRB design covenant is basically the architectural review committee for Reston Virginia. Here is a link to the site that controls home-improvement projects in Reston that includes design review rules and regulations that keeps Reston Virginia Fairfax Contractor has the time tested ability to work with their design review process https://www.reston.org/PropertyOwnerResources/DesignReview/DesignReviewOverview/tabid/302/Default.aspx. The reason that Reston has a review committee is to promote the property values, and environment which makes Reston a unique community. As contractors working in Reston we want to work with the values that the Reston homeowners Association promotes. Working within these guidelines makes your home compliant with the rules and regulations of the Reston Association. The Reston DRB basically controls all architectural design, and changes to your home. This group is made up of 9 Reston Association members. All homeowners must abide by the review process that the Reston Association and the DBR oversee as the standards that have been implicated by the administrating committees that implement the changes you want to make to your Reston home. To contact the Reston DBR to inquire about any exterior renovation please call the following number 703-435-6530.